A laser cut key can often be recognized for having thicker metal than normal car keys. There is also a long cut down the center of the key. A laser cut car key is found only for cars made after 1990. Since a laser cut key is more difficult to duplicate, it is also known as a high security key. The machine cuts the metal so fast that it looks like the laser is cutting through wood. The key machines that make laser cut keys can also be electronic and computerized. The computer program is designed to recognize the specific dimension of the key used. After the computer decodes, it begins duplicating the original key. The cutting process is complete in a matter of minutes using code cutting. A key programmer can also be used to detect the pin code sequence of your car key. This can be done by connecting the car to a key programming machine. In many cases, the car dealership sends an order for replacements keys, which means that you have to wait until the new keys arrive at the dealership. Instead of that, you can be driving the same day after working with a locksmith. Fort Worth Locksmith Pros is able to handle complex jobs such as being able to perform mobile key cutting services and helping with programming chipped car keys. Working with a local locksmith is a much better option than going to the dealership. Working with a dealer is a slower and more expensive process. 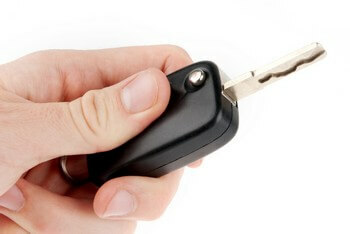 It is time to replace an original key when you notice visible signs of damage and it is old. You are going to require a professional locksmith that can handle a tough job like having to replace a key that is broken into two pieces and stuck in the ignition. They must be a complete locksmith service with years of experience in all types of automotive locksmithing. Not all locksmiths have the capability to produce these high security laser cut car keys. The process is difficult. Paying for a complete locksmith service in Fort Worth, TX and surrounding areas could be expensive. Do not expect to get laser cut keys from your local hardware store. Be sure to select the right 24/7 locksmith service that offers up front pricing. This will help protect you against unfair pricing. Fort Worth Locksmith Pros is the place to go for high security laser cut automobile keys. 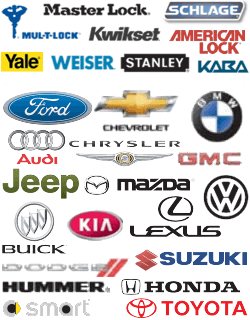 We service all makes and models, we cut keys quickly while maintaining professionalism, and we charge much lower prices than a dealer. 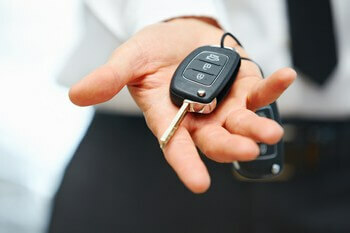 Getting your car keys duplicated does not have to be a major inconvenience with the help of a good locksmith. It is sometimes difficult to find the right place that will laser cut blank keys for you. In recent years, more people are buying blank keys on the Internet then they are having a difficult time finding someone who can help with the right machine and skills. If you are looking for car key replacement services for both foreign and domestic vehicles, go with the mobile locksmiths that have a 30 min response at Fort Worth Locksmith Pros. Our automotive locksmiths offer 24/7 locksmith services and can cut through the metal in minutes using the right machine specifically made to produce laser cut keys. Many people decide to have a backup set made by the locksmith just in case something happens to their keys again. With the help of a good locksmith, you can be on the road in no time. Remember, even if you have problems with your car’s locks in the middle of the night, our company is here for you 24/7! Laser Cut Keys http://locksmithftworthtx.com/laser-cut-keys/ 4.0/5 based upon 20 reviews.